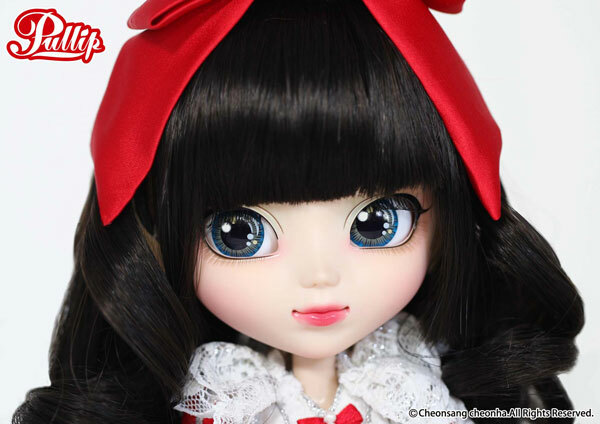 Pullip Snow White was a part of the original Snow White series designed by Ars Gratia Artis. 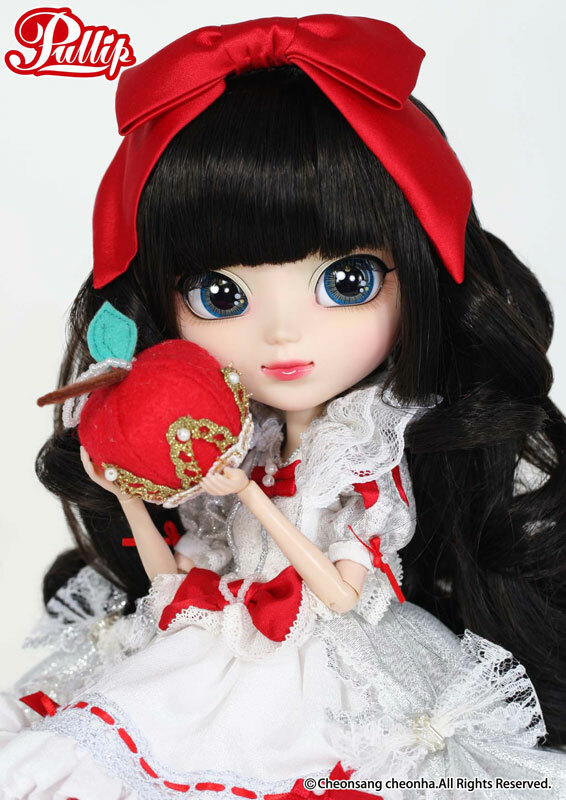 In addition to Dal Sentimental Noon, the Snow White series includes Dal Sentimental Noon, Pullip Snow White, Isul Midnight Deja Vu & Taeyang Twilight Destiny. 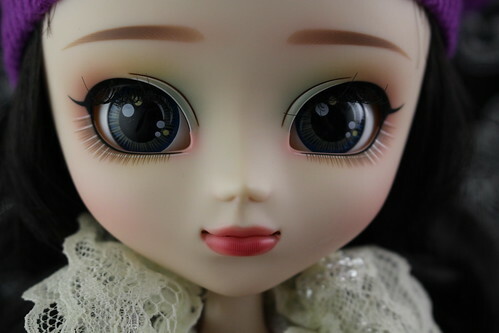 Feel Like So: Touched the forbidden fruit, pure white fingertip was flooded under the epidermis be charming, sweet scent of honey before you lost consciousness, the voice of someone did …feel like so. 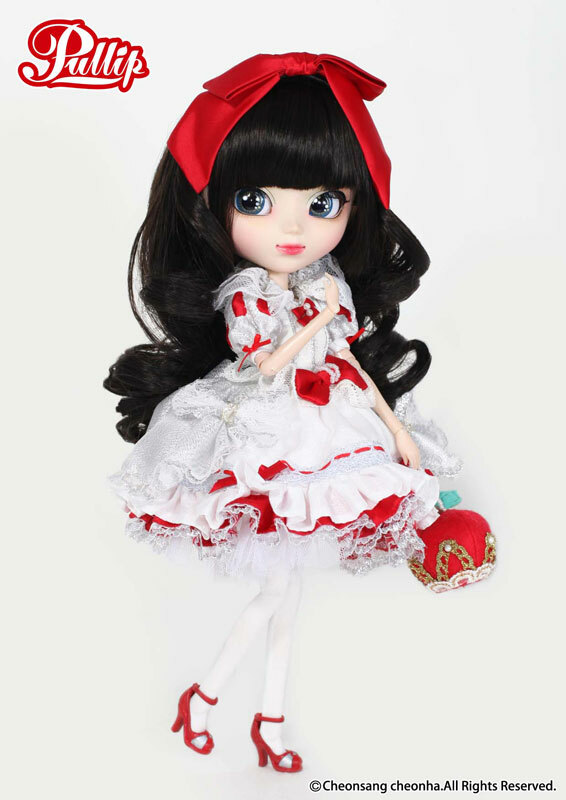 Stock: Pullip Snow White’s stock outfit consists of a hair bow, apple purse, blouse, skirt, petticoat, tights and heels. Known Issues: Possible long-term staining issues from red on dress.